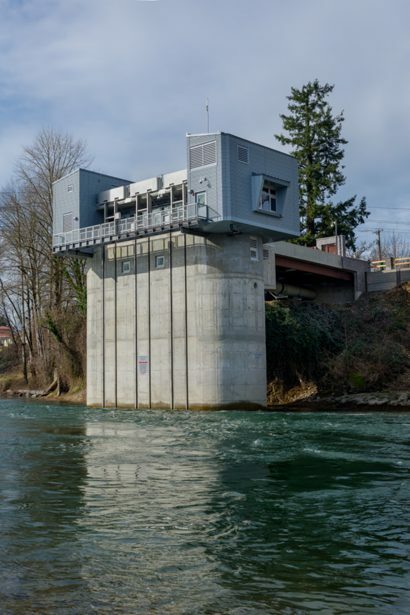 Designed to be a good neighbor and control Combined Sewer Overflow from outfall into the Willamette River, this new 1,700 sf pump station is a key piece of public infrastructure designed to blend into its surroundings. 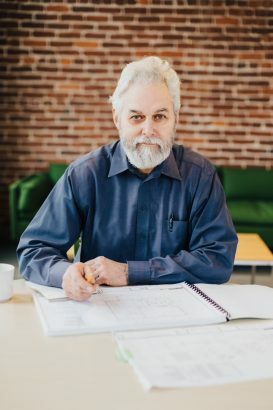 The design team carefully considered the placement of the facility on the site to minimize its impact. 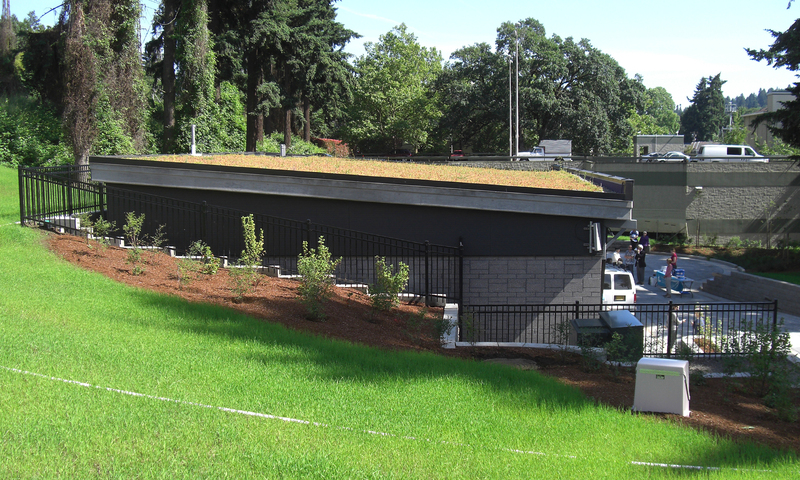 Due to its proximity to a residential neighborhood, the adjacent Springwater Corridor, and the Portland Rowing Club, the team built the pump station into a hillside and topped it with a green roof. 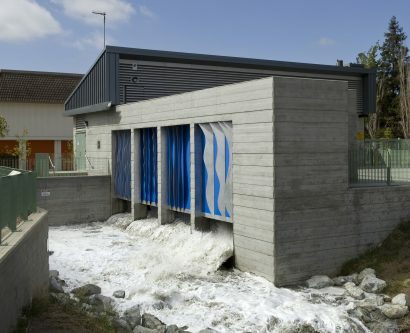 An alleyway created at the back of the building further buffers noise from the emergency generator. 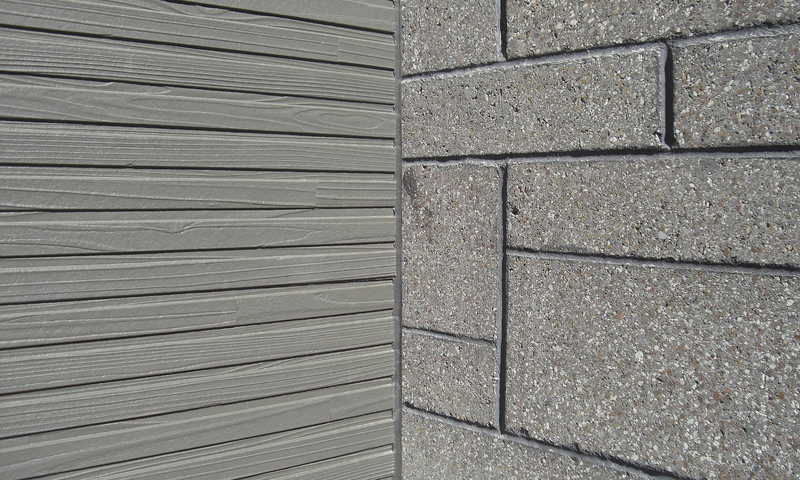 Walls are constructed of CMU with a ground face and an ashlar pattern to mimic stone patterns and appear more residential in style. 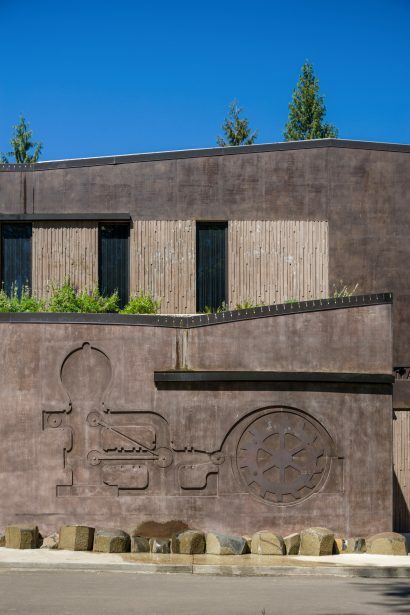 The green roof helps the pump station blend into its surroundings.